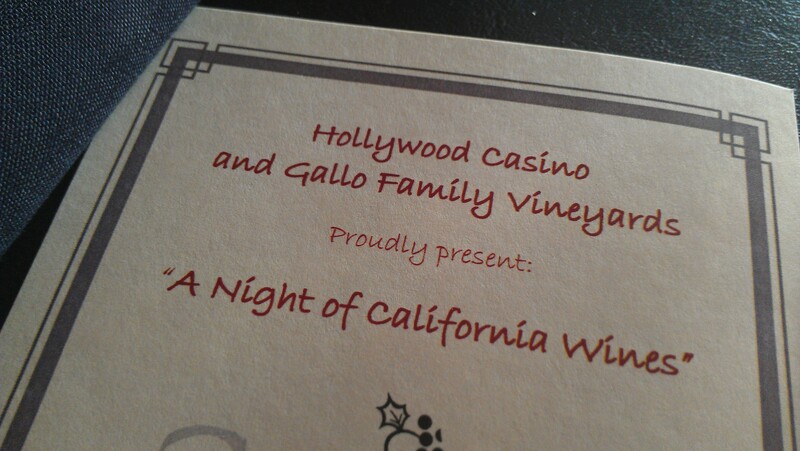 The good folks at Final Cut Steakhouse and the Hollywood Casino (Lawrenceburg, IN) were kind enough to host me as their guest for a California wine dinner hosted by Gallo Family last Thursday. I was intrigued for several reasons. The first and foremost is that my wife and I desperately needed a date night. As those of you with children may know or remember, you don’t get too many romantic nights out when you have an infant daughter (bless her heart). In the immortal words of Donna from Parks and Recreation, sometimes you have to Treat Yo Self. The other (perhaps more legitimate reason) is that while I enjoy wine and drink it relatively often, I know next to nothing about it. I know I like red and don’t like white(though this will be proven incorrect later), I know I largely find bottles I like and stick with those, and I know I often pick bottles based on label art. I needed a primer and a five-course dinner paired with different wines seemed just like what I needed. Before I get started, I just want to commend both the service and kitchen staff for their great work. 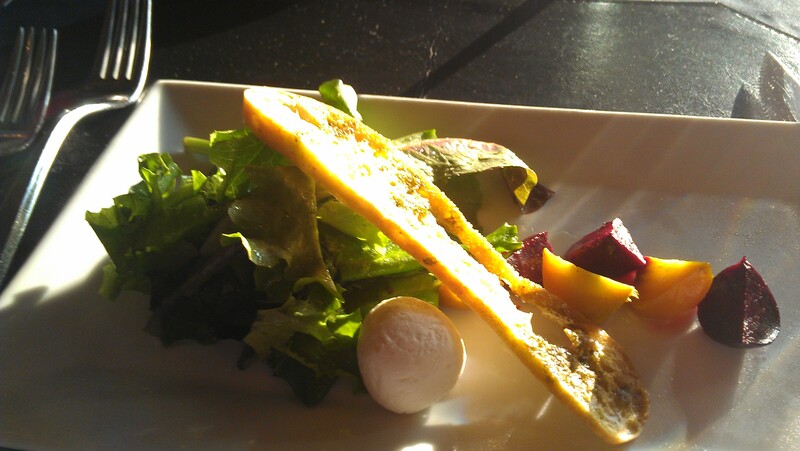 The service was prompt and friendly and the food was consistent, delicious, and hot. Absolutely none of these qualities should be taken for granted in a setting where a large number of people are being served. 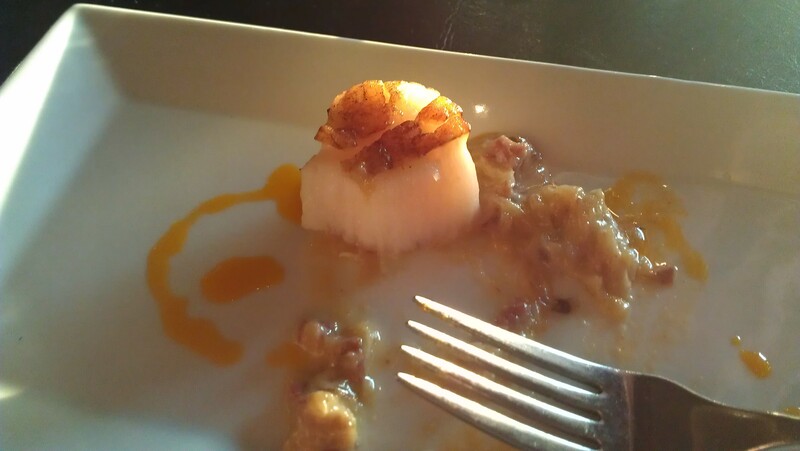 I’m going to go briefly through the five courses, describing the pairing and including brief thoughts on each. Note that because I was ravenous and becoming increasingly tipsy at the time, sadly some pictures of the courses were not captured before I inhaled the food. Suffice it to say that they all looked and tasted as good as they sound. Sorry, no pictures of the food for these courses. Both of these courses were ones in which I was very, very pleased with the food, but I did not feel that the wine carried its half of the pairing. Both the duck and the tenderloin were perfectly cooked; a little more than a touch on the rare side of medium. Duck (or Israeli couscous) isn’t often on my plate at restaurants, so I was glad to get to try this course. The robustness of the duck was great with the smoked apple butter and the couscous provided a nice change of pace, texture-wise. The slices of tenderloin I had was, as I said, perfectly cooked and almost fork-tender. It was not as memorable as the duck which preceded it, but it was a great classically prepared piece of beef. 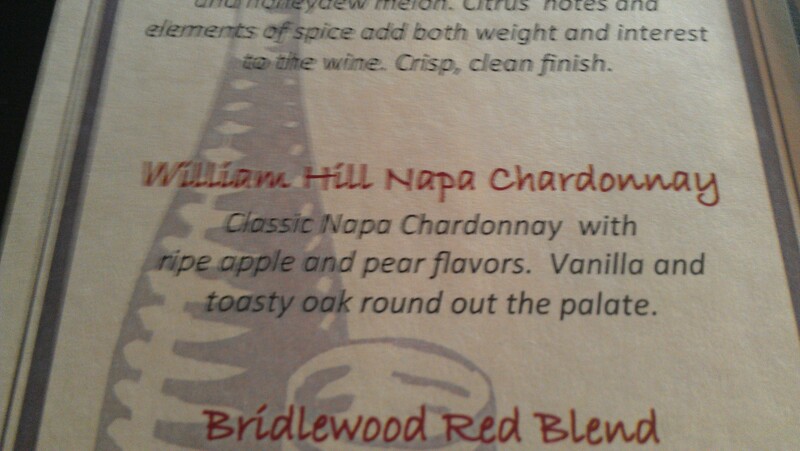 The wines for these two courses were more “meh”. After following two single grape whites, I was looking forward to continuing the contrast between a couple of reds, but the blended nature of both thwarted that. 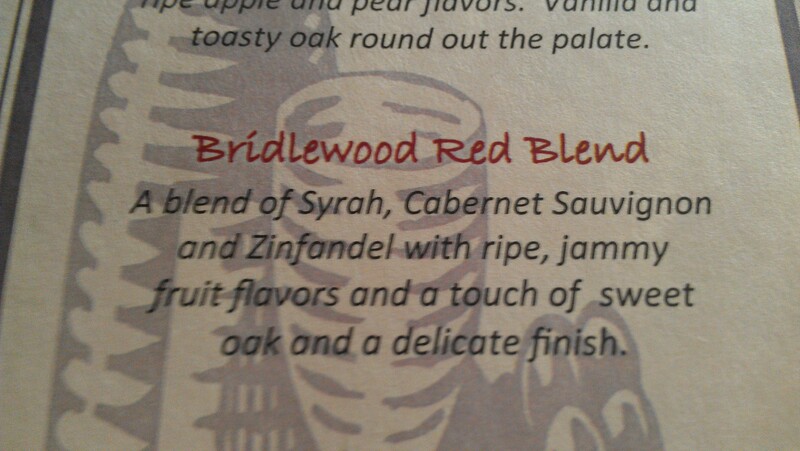 The problem with blends, in my opinion, is that, unless they are just really bad wines, it’s tough for me to tell one bottle apart from another. That was the case here; there was not much to differentiate the Bridlewood from the Ghost Pines. 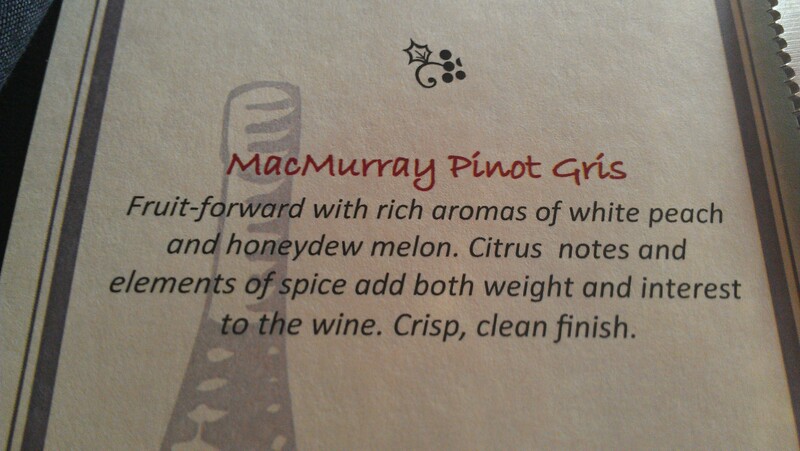 Also, both seemed mild to medium, which didn’t work with the food pairing. With the tenderloin course, in particular, it would have been nice to have a bolder red to go with it. 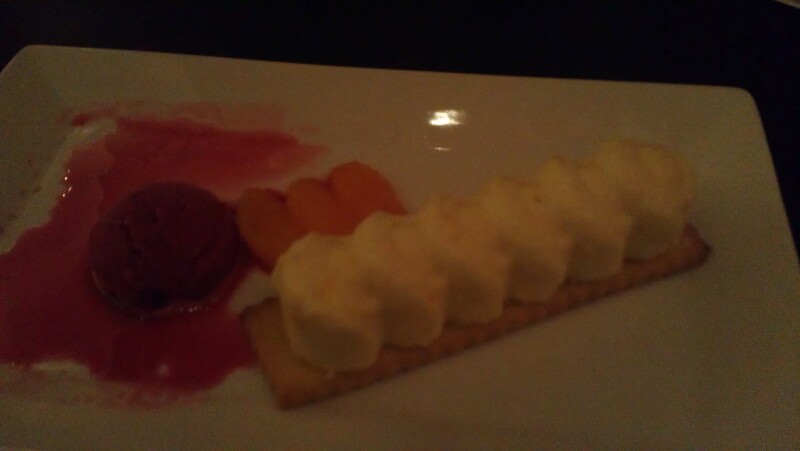 Course four: Marscapone cheesecake with a citrus graham cracker crust, tangerines, and hibiscus sorbet; paired with Mirassou California Moscato. This was the only forgettable course. The cheesecake filling was tasty, as was the sorbet, but the graham cracker crust was pretty hard and tough to break through with a fork. Perhaps a lighter crust would be a better choice here. 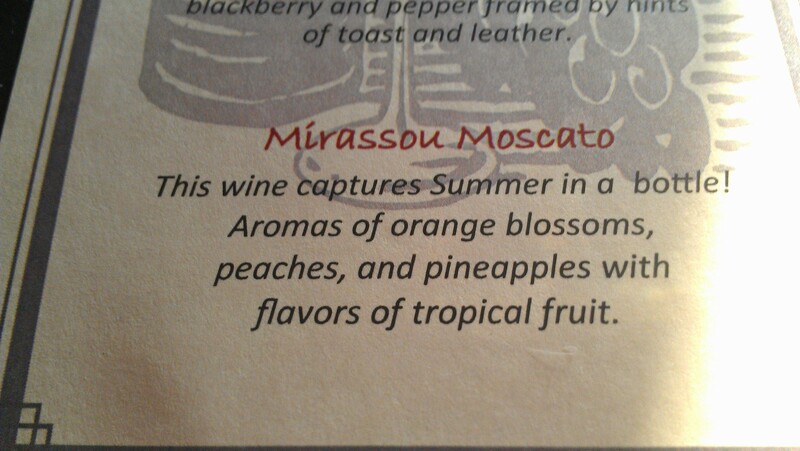 The moscato was very enjoyable, though, and a nice, light way to end the night. We actually bought a bottle of it a couple days later for our wonderful babysitters for that night. This was a marvelous evening. 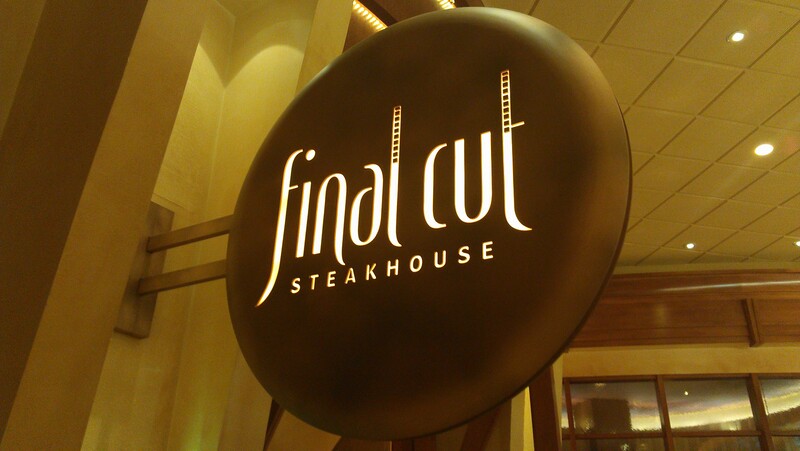 As I noted above, I can not possibly give enough kudos to either the service or kitchen staff at Final Cut for the work they did. The food was tremendous and the portion sizes reasonable, which is an absolute must in a five course tasting like this. 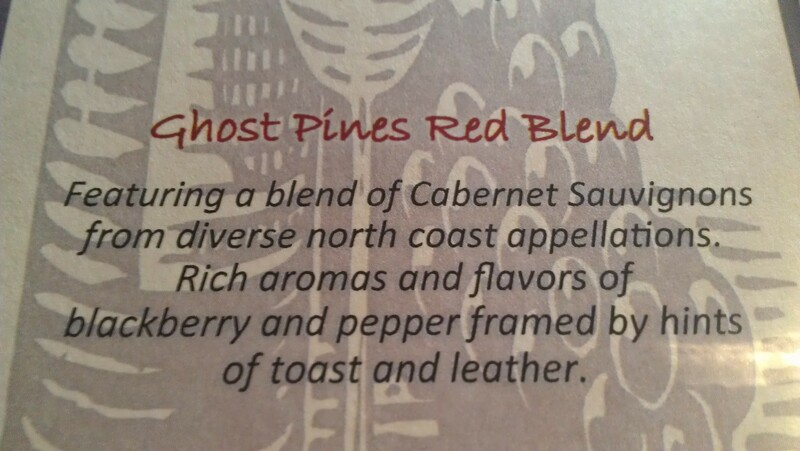 I’ll be keeping an eye out for future tastings at the Casino and if the whispers I hear about a spirit tasting actually come true, I might just find myself in a seat reviewing dinner for you again in the near future. Most surprising part of the night: my conversion to drinking white wine. I expected to have to push through the white pairings, but the pinot gris and chardonnay were far and away the best wines of the night. I guess you never know, do you? Anyways, thank you to everyone at Final Cut and Hollywood Casino for a great night! I definitely enjoyed myself!